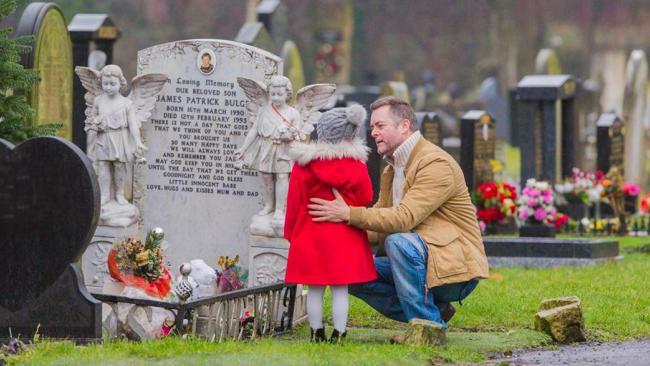 THIS is the heartbreaking moment James Bulger's four-year-old sister visited his grave for the first time. The little girl nicknamed Princess, delicately laid a posy of carnations at her brother's memorial stone in Kirkdale Cemetery, moving her dad Ralph Bulger, 51, to tears. Ralph says he has not yet revealed much about James to his little girl, who often reminds him of his tragic son, because he did not want her to "live in her brother's shadow", The Sun reports. 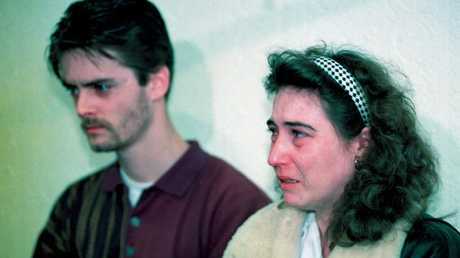 He told The Sunday Mirror: "I don't want her to live in the shadow of her brother's dark and brutal killing. "Instead I want her to learn the happy things about his life, and how he was a much-loved and beautiful little boy. "She's very much like James. She's a little imp and full of mischief just like James was." 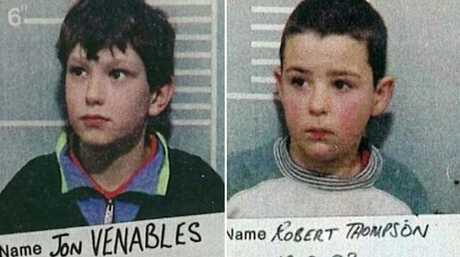 James Bulger was beaten to death by Jon Venables and Robert Thompson on a railway line in Liverpool, England, in February 1993. The emotionally-torn dad admitted his little girl has given him a "second chance at happiness", although he still blames himself for what happened on that tragic day at Bootle Strand Shopping Centre in Liverpool. 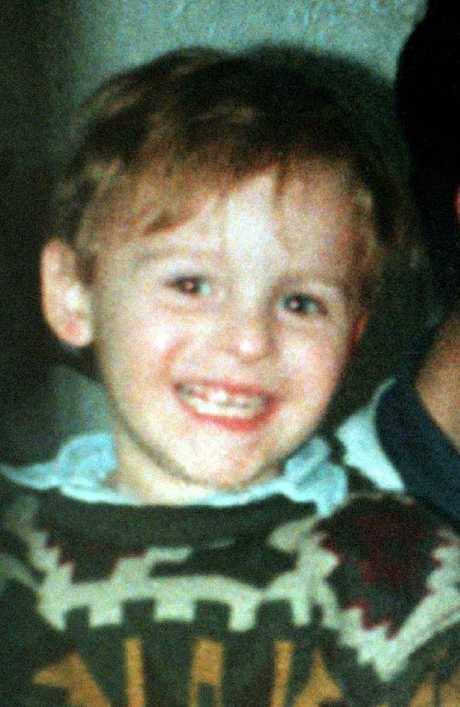 Little James was abducted from Bootle Shopping Centre on February 12, 1993, by Robert Thompson and Jon Venables who 10-years-old at the time, and brutally killed him three miles away. Ralph feels as though he let his son down because he needed him to "protect him". But since Princess' birth, he feels as though his life is worth living, after spending many years fuelled by anger and hurt. 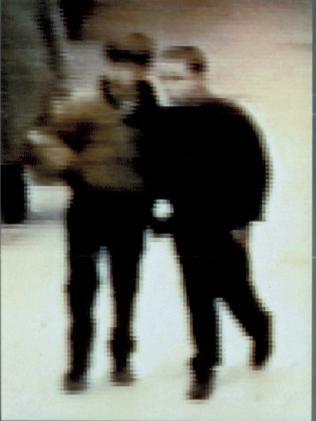 This blurry image was released showing Robert Thompson and Jon Venables in The Strand. He told the newspaper: "My heart was broken and I was a lost soul, not knowing how to live without James but not knowing how to die either. "Natalie [his wife] and Princess have helped heal my hurt not just with love, kindness and patience but laughter and joy too." 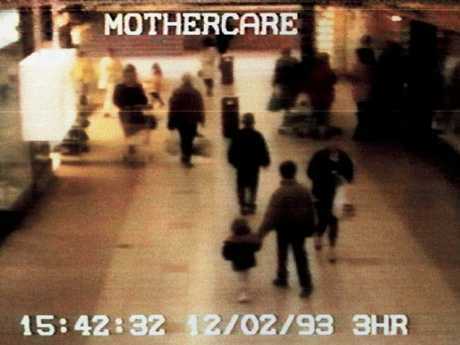 The image that haunted the world, of British child murder victim James Bulger being led away by his killers in The Strand shopping centre. Ralph's first marriage which was torn apart by grief, said he is able to look to a joyful future, and feels blessed to have loved James for such a short time. His emotional account comes weeks after James' mum said the last moments she shared with her son will be "etched on her mind" until her dying day. Denise Fergus has tragically revealed she still blames herself for his death, because she took her "eyes off him for that split second" in the New Strand Shopping Centre in Bootle on February 12 1993. - This story has been republished with permission from The Sun. 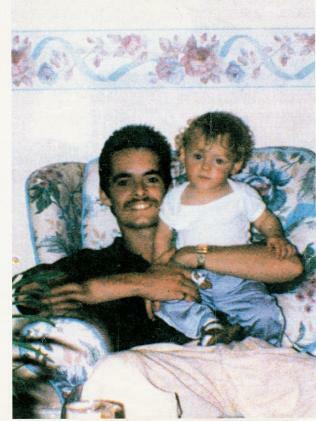 Ralph Bulger and son James.